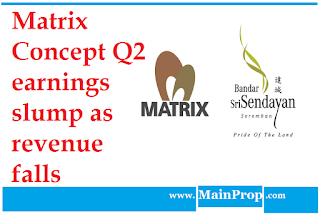 Seremban-based developer Matrix Concept Holdings Bhd’s net profit for the second quarter ended June 30 (2Q15) fell 30% to RM29.85mil on the back of revenue which dropped 26% to RM120.44mil. The decline was mainly due to the lower revenue recognition in the quarter under review. There was an acceleration in project progress and completion of industrial property sales before the implementation of the Goods and Services Tax for 2Q15 quarter-on-quarter. As a result, net profit decrease in tandem with the fall in revenue. “We are still on track to deliver a record year on the back of strong demand for our properties and sizeable unbilled sales, barring unforeseen circumstances,” its chairman Datuk Mohamad Haslah Mohamad Amin said on MOnday. The developer’s total unbilled sales from ongoing projects amounted to RM540mil as at June 30 and that will last it until 2018. For the first half of the year, its net profit surged 79.4% to RM145.3mil while revenue jumped 47% to RM438.1mil compared to the previous corresponding period. Of the total group revenue for the first half, sales of residential and commercial properties made up RM337.6mil versus RM227.4mil previously. On the other hand, sales of industrial properties and land stood at RM95mil comapred with RM71mil earlier. 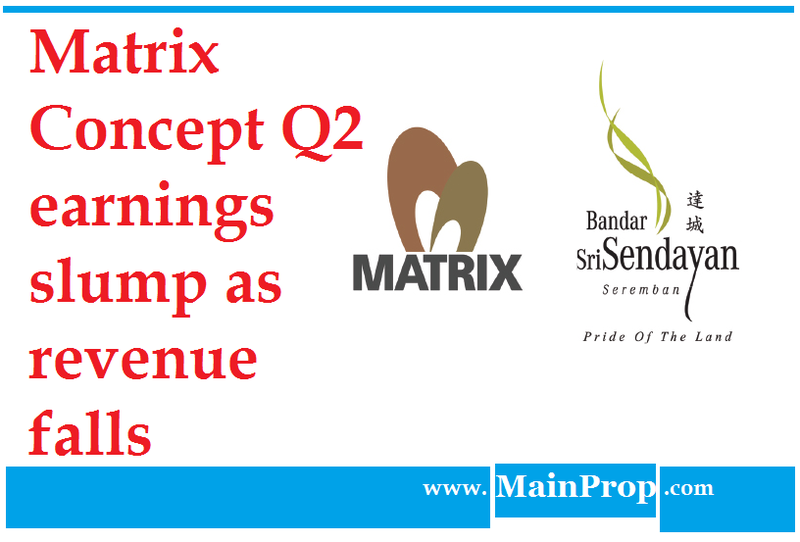 The group’s investment properties, comprising Marix Global Schools and d’Tempat Country Club, contributed RM5.5mil to its revenue for the first half. This was seen in the 40% take-up within a month for its Hijayu 3B project, comprising 333 units of double-storey terrace homes, which was launched in end-May.